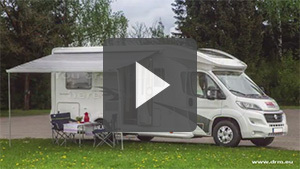 Welcome to DRM, Germany’s biggest motorhome rental company. You are searching for a high quality motorhome with fair rates? Let us convince you with our offers, last minute deals and our complete service around motorhome rentals. One way rentals within Germany! DRM offers the unique possibility of one way rentals. Between Hamburg, Munich, Düsseldorf, Berlin and Frankfurt. We are looking forward to your request. In case of questions we are glad to help you. Latest models with comprehensive equipment.